Jacques Rivette’s film opens to a chorus of noise. Helicopter’s whir overhead, recalling the sound of a 16mm print in a film projector, while a number of journeys around a Parisian roundabout offer a neat introduction to one of the films dual protagonists, Baptise. The noise of the city is important; it’s what drives the aesthetic tone of the picture. As Piazzolla’s Libertango plays we follow the girl’s further adventures around Paris. Libertango is a witty choice for scoring the sequence: while a tango piece, and one composed by a South American, the word “Liberty” has unequivocally French (and specifically Parisian) associations. The accordion driven piece evokes the most ardent stereotypes of the city of truth, beauty, freedom and love, and it’s these core themes with which Rivette uses to explore the Parisian sunlit underbelly. The lion monuments that litter the byways of the city are studiously focussed upon, acting almost like guards to the tale about to be told. It’s a film about duality. There’s two of everything. Two leads. Two editors. Two cinematographers. While Rivette is the lone director, the work itself is clearly one ground in multiple collaboration. 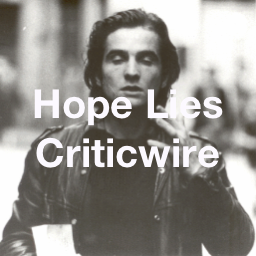 The writing team sees every facet of the production represented, with Rivette’s script co-written by stars Bulle and Pascale Ogier and Rivette’s regular collaborator (and occasional collaborator of Francois Truffaut) Suzanne Schiffman. 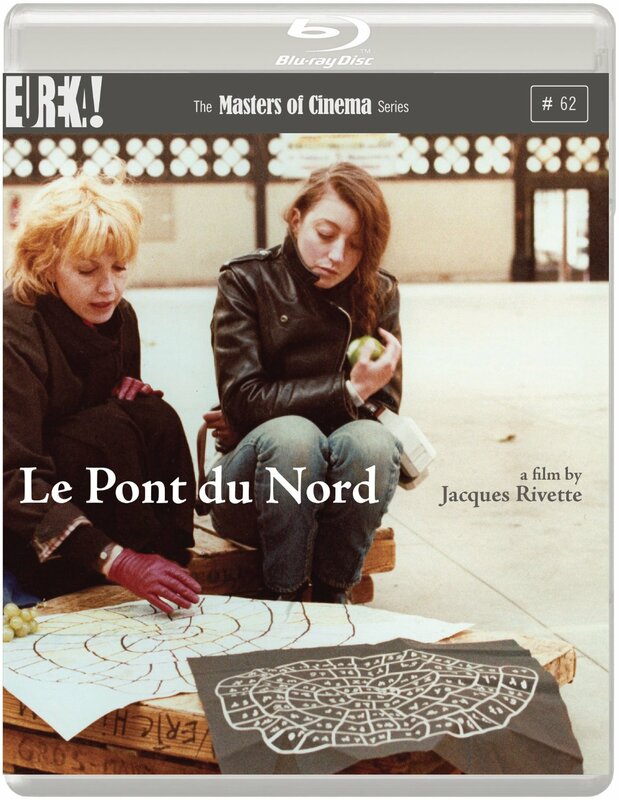 Released at the head of the 1980s, the Paris of Le Pont du Nord is almost a forgotten alien land, midway between the promise of the 60s and the fully formed and meta-iconography of now. In a roundabout way (pun intended, given the opening ride through the city), Rivette’s film has actually become a valuable and telling city story with age, in that it captures the essence of a place that for much of the period was captured through the lens of the Cinéma du look. Between Le Pont du Nord and films like Robert Bresson’s L’argent and Maurice Pialat’s Loulou, we are offered an alternative view of the Paris of the 1980s. Character is put across subtly. Carefree Baptiste drinks from a water fountain and recklessly rides her moped across busy traffic, while Marie’s claustrophobia is portrayed via her inability to close a telephone box. Both see the city as an obstacle course, with one relishing it and the other terrified. Wide open spaces face off again a love of rat tunnels, the younger woman an aged Zazie (dans la metro), having come of age in the post-politicised days in the wake of Vietnam and Mao. Baptiste is overt in her actions, like a silent clown, or a traditional Parisian boulevardier ventriloquist. She pauses the film’s most dramatic sequence to hold a karate lesson. Underneath the quirkiness (a term I’m loathe to use) there’s a fascinating bent. The conspiracist element of Baptiste opens the picture up completely. It’s as though she dreamed Alphaville. Rebuilding the Paris of Welles’ adaptation of Kafka’s The Trial as the ground rock of Alphaville, with Rivette’s Paris eventually becoming the space of Godard’s dystopian nightmare. The film’s pairing of Pascale Ogier with her mother Bulle is given an extra sense of poignancy (not to mention an intimacy) when one takes in to account the fact that the younger Ogier passed away just a few years later. The third Ogier, Barbet Shroeder, the patriarch of the family unit is present in his regular role as Rivette’s producer. The disc is exemplary, and a genuine landmark of the medium. On-disc extra material may be scant, but the space saved ensures that the transfer for the film is served to perfection. A strong average bit-rate of just under 35 Mbps means that this is as strong a presentation of the material as has ever been seen outside of 35mm film stock (the film was shot on a combination of 35 and 16mm film, and blown up to 35 for the release print). While the disc may be sparse in terms of extra features, a typically lengthy booklet from the Masters Of Cinema makes up for any slack.